Daimler has chosen a Swedish manager who once studied finance to succeed industry legend Dieter Zetsche and lead its transition to electric vehicles. The carmaker announced Wednesday that current research and development boss Ola Källenius will become chief executive in 2019, making him the first non-German to lead the owner of Mercedes Benz. Källenius will take the reins at a tumultuous time for the auto industry. Global automakers are pouring investment dollars into the development of electric and self-driving vehicles as they seek to head off upstarts such as Tesla (TSLA) and Waymo, a Google (GOOGL) spinoff that is working on autonomous cars. Daimler (DMLRY) faces even more challenges. Sales of diesel cars have dropped sharply in Europe because of emissions cheating scandals and plans in some countries to phase out the technology. EU regulators are also investigating whether Daimler and other German automakers held back the development of technology that could have reduced pollution. Daimler profits slipped 19% in the first half of 2018 compared to the same period last year, results the company pinned on higher tariffs on US vehicles exported to China. President Donald Trump, meanwhile, has repeatedly threatened import tariffs on cars made in Europe. The carmaker has also attracted the attention of Li Shufu, the billionaire chairman of Chinese car maker Geely, who has invested about $9 billion buying a stake of almost 10% in Daimler. "It's a hugely complicated job," said Tim Urquhart, principal automotive analyst at IHS Markit. "There are major challenges facing the whole industry, huge pressures from the technology companies coming in, and also the ongoing move forward towards electrification and autonomy." Daimler announced a restructuring plan earlier this year called "Project Future" that is designed to make the company more flexible and improve its focus on connected vehicles and autonomous driving. It has also formed a partnership with Chinese tech company Baidu (BIDU). 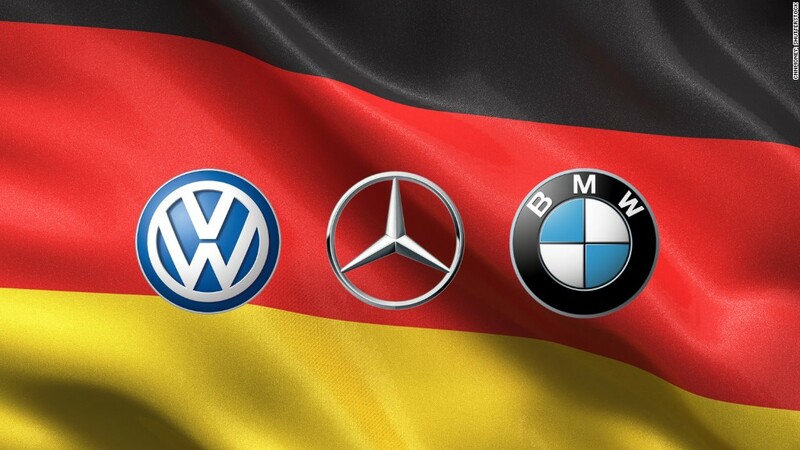 Other German carmakers are also making the shift. Volkswagen for example has committed to spending more than €50 billion ($59 billion) on battery cells as it pushes to electrify all 300 models in its range by 2030. Daimler outgoing CEO Dieter Zetsche. Källenius, who joined Daimler in 1993 and has spent his entire career at the carmaker, has long been viewed as a potential successor to Zetsche. "We are making the [management] younger and thus giving it new impetus," Michael Brecht, the deputy chairman of Daimler's board, said in a statement. Urquhart said that Källenius had been "bred" for the job and that it was "hard to think about anyone better suited." "He is closer to the age of the younger demographics that Daimler is increasingly targeting and he has been across the biggest technological advances in the industry in his previous role," he added. 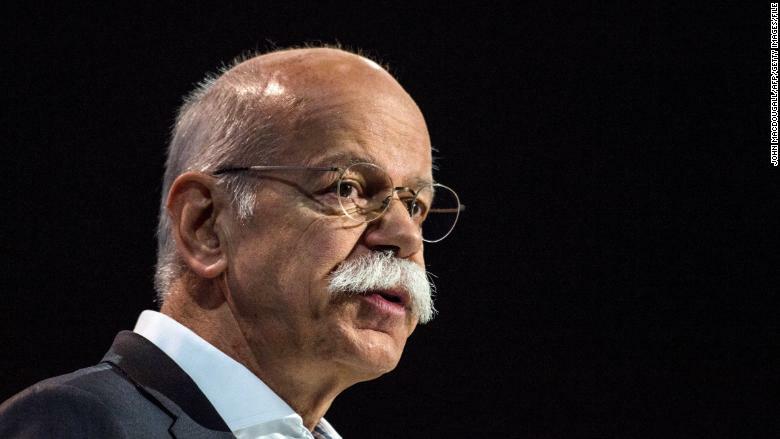 Zetsche's departure as CEO marks the end of an era at Daimler. The mustachioed executive, best known in the United States as the "Dr. Z" once featured in Chrysler commercials, has led the carmaker for 12 years. "He had this big goal of overtaking BMW as the world's largest premium carmaker by sales by reestablishing the brand, and that's what he has done," Urquhart said. Daimler said it would ask shareholders to make Zetsche chairman of the Supervisory Board starting in 2021, where he will continue to wield influence. "In various positions at Daimler, Ola Källenius has earned not only my respect, but also the recognition of his colleagues in very diverse areas," Zetsche said in a statement. Shares in Daimler were little changed on Wednesday.